Oh My Goddess! is back... and so is Mistress Hild, who intends to get the truth out of Hagal about the reasons behind her coup. 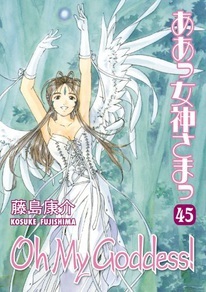 But the demon usurper isn't the only person who's been less than forthcoming about things, and now Belldandy and Keiichi must face judgment on their love... by a goddess who can claim seniority over all the sisters!